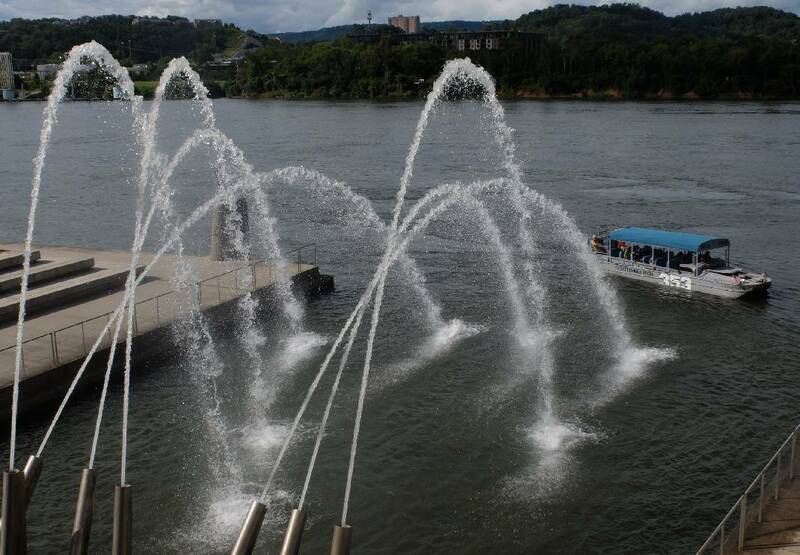 The water cannons at The Passage on the 21st Century Waterfront are firing again after nearly two years out of commission from a broken pump and other damage. The city of Chattanooga said the lengthy repair process involved hiring a diving team of underwater engineers and cost $50,500. In what could be a capstone of his governorship, outgoing Tennessee Gov. Bill Haslam released a 52-page report Tuesday to secure the future of Tennessee's water resources as the state quickly grows. The report provides recommendations for how Tennessee should manage one of its most vital resources amid new challenges but stops short of offering solutions about how to carry out those recommendations. Haslam and others who constructed the report, named TN H2O, say the report was never meant to fully provide answers, rather it was crafted to inform Tennessee residents and the next administration about looming threats and what needs to be done — not necessarily a look at how to do it. "The point I really want to make is that this is not one of those top-down, like OK the state government has a plan for how we're going to handle this," Haslam said at a Tuesday news conference." The premise is we shouldn't take water for granted." Deputy Gov. Jim Henry and Tennessee Department of Environment and Conservation Commissioner Shari Meghreblian held workshops across the state with more than a hundred volunteers who contributed to the report. Those volunteers included federation leaders, water experts, utility leaders, public officials and others who made recommendations on the statewide water availability strategic plan. That diverse group was a major key to ensuring what leaders see as a successful collaboration, the report's contributors said. They provided insight on different water uses and their importance to every day life for Tennesseans. "Now is when the real work begins," said Tennessee Wildlife Federation CEO Michael Butler, who was on the steering committee. "That's going to require the new administration to digest it and come along and say, 'what's the next step?'" Tennessee is one of the highest rated states for drinking water quality, according to U.S. Environmental Protection Agency data, and has an abundance of freshwater resources. The Tennessee River regularly funnels drinking water throughout the region, and a relatively low population has ensured Tennesseans have rarely had to worry about water access. Climate change, a growing population and other factors have leaders looking ahead at potential problems. Rapid economic development in the state, scarcity of water resources in neighboring states and the recognition that Tennessee remains one of the few states without a long-range water plan prompted the study. "Almost everything you do is riveted around having good available supplies of water, and quite frankly, we haven't done that much about it," Henry said. "Now, we have a plan in place." Tennessee remains in an ongoing fight with Georgia over water access as the Peach State attempts to claim a section of the Tennessee River — an issue that was joked about in the lighthearted press conference. "The issues we've had with Georgia about the water in Chattanooga, I want you to know we stole those rights fair and square," Henry said to laughs. "And we're going to keep them." However, there are other issues that do have leaders worried. There are concerns over the utilization of the Memphis Sands Aquifer, which provides drinking water to much of western Tennessee and surrounding states, and droughts are becoming longer and more common as weather patterns change. The report acknowledges in length that each of these factors is increasing strain on the water system. It calls for strategic use of funds to update the infrastructure and better reach rural communities while acknowledging that there are "many competing demands for infrastructure resources." It also notes that neither the public nor private sector "can continue to cover the cost and absorb the risk of degrading infrastructure." Utilities and communities need to be open to a variety of creative solutions for funding and using both public and private tools to address the gap, according to the report. The report outlines other recommended changes, first of which is to address current and impending infrastructure needs for unserved areas, address infrastructure repair and replacement issues, and address funding shortfalls faced by rural systems. It also recommends developing a campaign to help the public and decision-makers understand the value of water and natural resources and complexity in managing them. "We're really hopeful that the collaboration sets the stage for how we can continue to work together to restore and protect our water resources," The Nature Conservancy Tennessee Chapter co-chair Sally Palmer said. "That includes everything from the health of our natural resources and improving access to recreational opportunities to helping both our cities and rural communities." The conservancy helped co-lead a group focused on natural resources for the report. State officials are now asking for public feedback before the report is implemented. Comments may be left at tn.gov/environment/tnh2o through Feb. 28, 2019.